Yes its true, an adventurous step forward into an unknown territory, I have just launched my new blog. Indian Baja may sound strange, but it rhymes well with Indian Raga. Moreover, it was the only short term available to register the blog. Baja was also apt because it was a term once used for the good old Gramophone player. Today it is also synonymous to the Harmonium, also known as Peti in some parts of India. Also I thought it would be an easy thing for you all to replace raga part of indianraga and type in baja instead, in case you feel like switching between the two blogs. In fact, you need to replace just two letters of raga with those in baja. I have chosen to retain the themes and the logo of Indian Raga. I will provide an easy link in the sidebar very soon. Hoping to provide you some great, vintage Hindi film music (only pre 1969, please) and music under other genres as well. Here are some more songs of my choice and liking. A few gems from my favourite playlist. All the vocalists are renowned names. Firoz Dastur (1919–2008) was a well known, and probably the most successful, Hindustani classical singer from the Parsi community. Me a music collector? No way! My good friend from Lahore, Dr. Ashfaq A Khan aka holistic, who has uploaded one of the finest personal collections of classical music on eSnips, told me once, “Collectors are like snakes, coiled tight over a treasure chest. They will snap at you if you even, as much as, try to touch the chest. Leave alone taking a few jewels from it.” Dr. Khan abhors music collectors. His gesture of sharing very rare recordings of private mehfils of great maestros proves a point. Unlike collectors of other curios like coins or stamps, a music collector has nothing to lose if he lets other people have copies of a few rare songs, especially in this age of digitized music. The original songs will stay intact without losing their quality even if one hundred people downloaded them. Strangely, a few collectors cannot bear the sight of someone who has, what the collector thinks was his sole right to possess. Contrary to what many people think, I am not a music collector in the conventional sense. I love it when people download songs from my blog. More the merrier. Another friend, a regular visitor on this blog, Shri Virendra Nath Bali from Delhi was kind enough to send me a couple of recordings of Sitar recitals by his late father Pandit S N Bali, a renowned player of the ‘tantkari‘ style Sitar. He wants me to share these with you all. The recitals were broadcast on the Allahabad / Benares Radio. Here are some memories, as recalled by his son. S N Bali was a disciple of Ustad Hamid Hussain Khan, a very ill-tempered and reserved man, who never wanted to part with certain closely guarded secrets of his khandani Sitar techniques to a non-family person. S N Bali used to stealthily climb the staircase of Khan Saheb’s room and listen to his playing at his private riyaz time. One day as the Ustad was strolling in the campus of the Marris Music College, he froze to attention at a particular spot upon hearing the replica of his most confidential Taans and Gat on the Sitar. He immediately called the watchman and ordered him to send whosoever was playing the Sitar. S N Bali reported to the Ustad in great fear but was shocked by the love and affection showered on him by his Guru. The Ganda (thread tying) ceremony took place immediately upon the Guru‘s instructions. This may surprise many, but it is true. 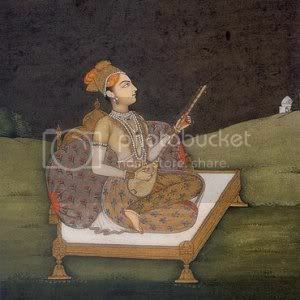 More than a century ago, a certain Raga or Bandish (composition) was considered the ‘property’ of a particular Gharana. That is, the Raga in question would be known only to the musicians of that Gharana and to no one else. This would be especially true if the Raga was created in the Gharana. It was the custom to occasionally ‘gift’ a Raga or Bandish as dowry to a son-in-law. 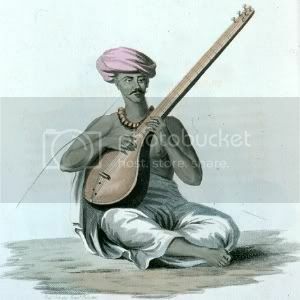 In this way, many Ragas found their way into Gharanas where the Raga had not been in existence before. If the recipient or new ‘owner’ of the Raga was a musician of another Gharana, he would naturally be guided by his own background conditioning in presenting this ‘received’ Raga. This would quite conceivably cause some variation in the Raga, that might remain mild or even become heightened with the passage of time. Agra Gharana, one of the more popular Gharanas, places great importance on developing forcefulness and deepness in the voice so that the notes are powerful and resonant. Many vocalists of this Gharana have adopted a certain falsetto tone in their singing that oozes of masculinity. Once considered a domain of male singers, Agra Gharana is now followed by many eminent and newer female vocalists. 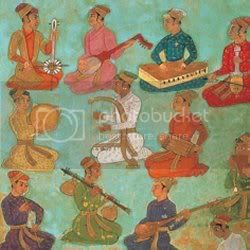 Apart from the above doyens of the Gharana, the more famous names of Agra Gharana include Khadim Hussain Khan, Dinkar Kaikini, Lalith Rao, Jitendra Abhisheki, Ravi Kichlu and many more. As with other Gharanas, the list is long.